Multiply that story by all the homes Lucille has sold in the past thirty-two years at Potterton Rule and you begin to understand the impact she has on newcomers to town. According to Potterton Rule, Lucille is a top producing realtor, not only in Mineral Point but in Iowa County, regularly selling over $1 million of real estate a year. In fact, many Mineral Point homes have been sold by Lucille more than once. Lucille is an ambassador for all that is good in Mineral Point. She gives much of herself back to the community and rarely misses an event. She gives no sign of slowing down. Her boundless energy speaks to the town’s Shangri-La-quality. Like Shangri-La, some people don’t seem to be getting older. Lucille is certainly one of these people. In addition to her work with Potterton Rule, she’s busy planning class reunions, keeping the Kiwanis in line as Secretary, and serving as Secretary of the Mineral Point Historical Society Board. 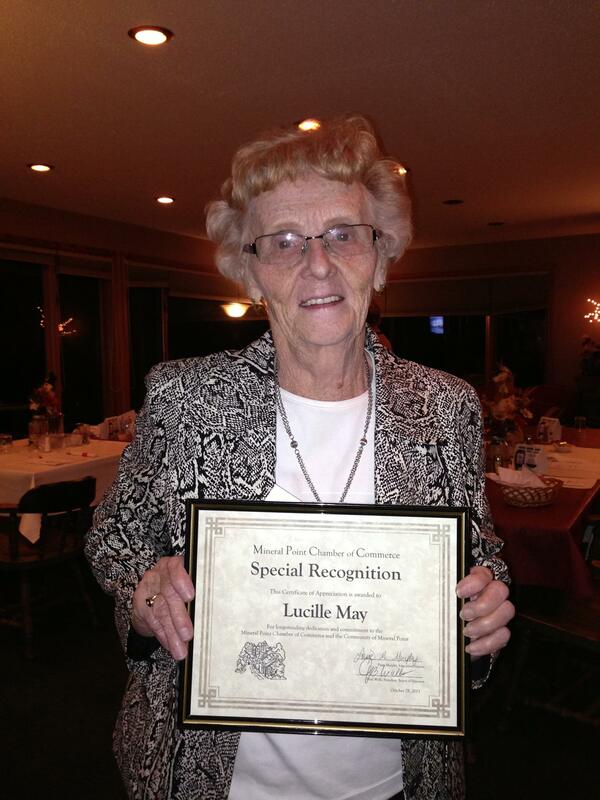 She’s also active at St. Mary’s & St. Paul’s Church and the Mineral Point Chamber of Commerce, which recognized her last year as “Volunteer of the Year.” Lucille accepted the award with a rousing speech that came right from her heart. It seems shocking that she turns 86 on August 6th. It’s being called a Platinum-Plus birthday — turning 86 on 8-6. To commemorate this milestone, Lucille’s seven children, sixteen grandchildren and ten great grandchildren are hosting a birthday celebration at the Walker House tomorrow Saturday August 2, 2014 from 1:00-3:00 p.m.. Don’t worry if you did not get an invitation, they simply put a notice in the Democrat Tribune inviting everyone to join the celebration. 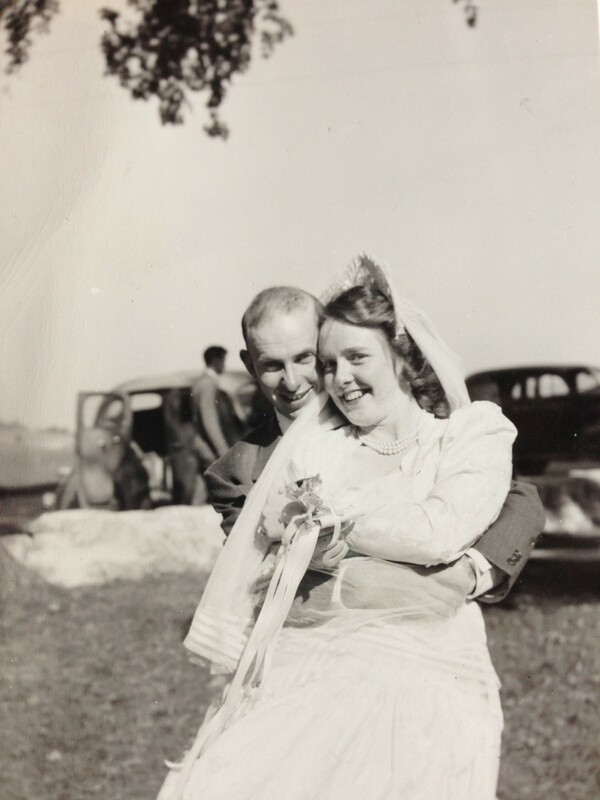 Lucille Regan May has lived all of her eighty-six years in Mineral Point. Along with her eight siblings, she was raised on a dairy farm, and her grandparents lived nearby. Lucille still picks apples (for making her famous apple pies) from the same tree as her grandmother. 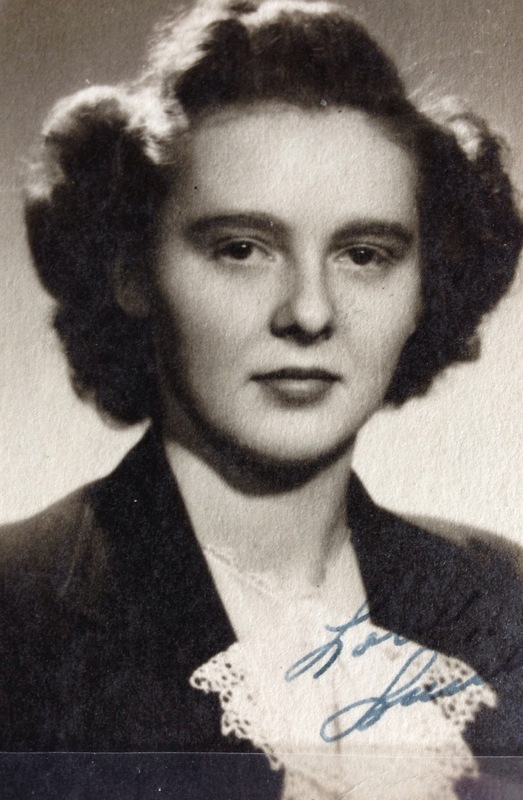 Lucille graduated from Mineral Point High School in 1946. 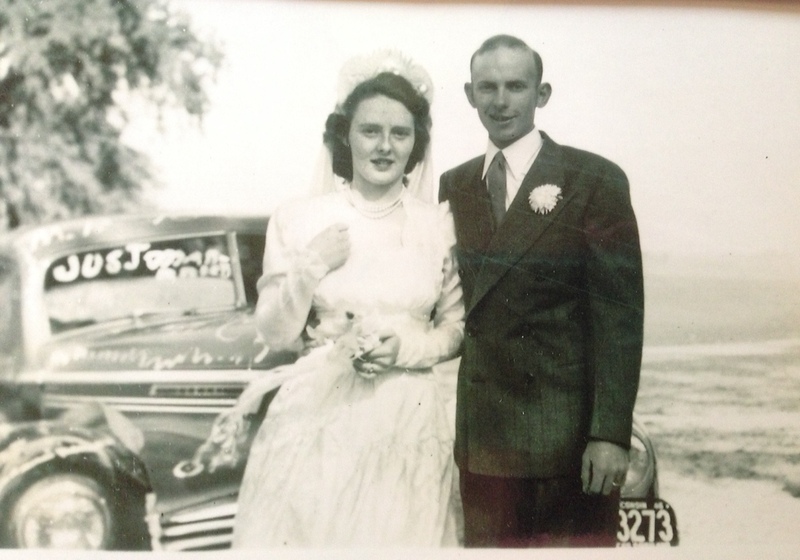 The following year, Lucille married Paul May at the Dodge-Point Country Club. Together they established the Fernvale Angus Farm. 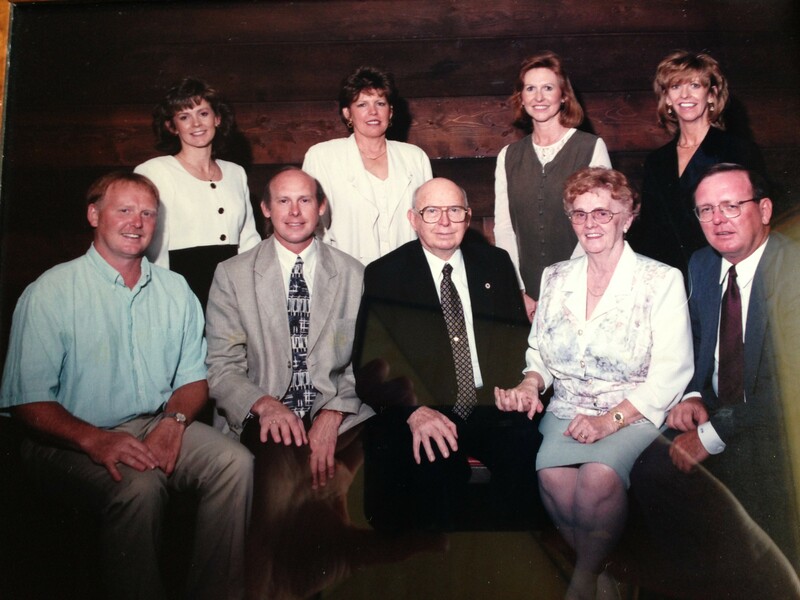 In 1985, the Wisconsin State Legislature awarded Lucille and Paul May the Master Agriculturist Award. The farm is now run by their son, Gregg. 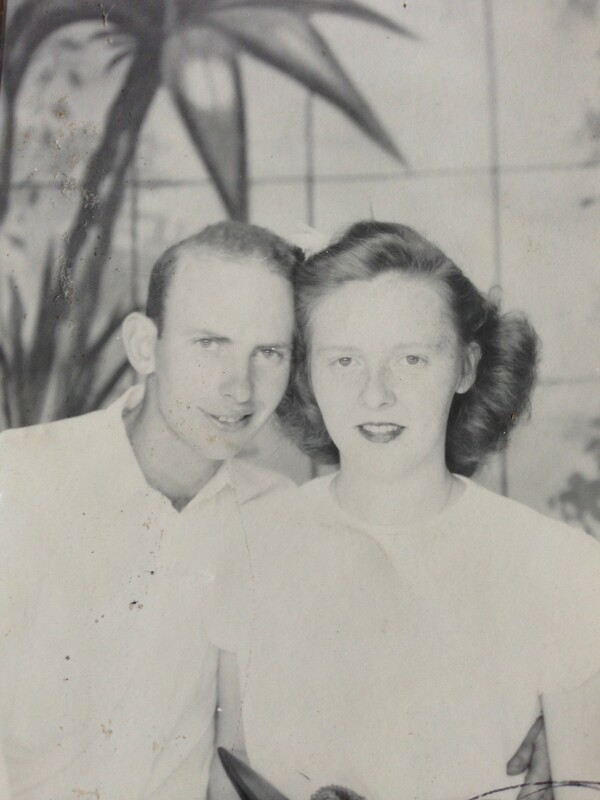 Lucille and Paul were married for fifty-five years. 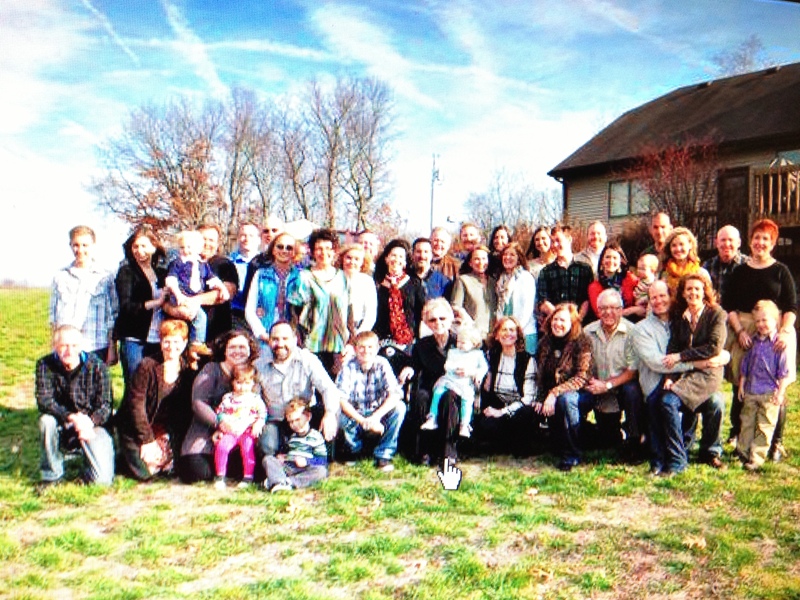 The photo below was taken at their 50th wedding anniversary surrounded by their children. Paul passed away in 2002. 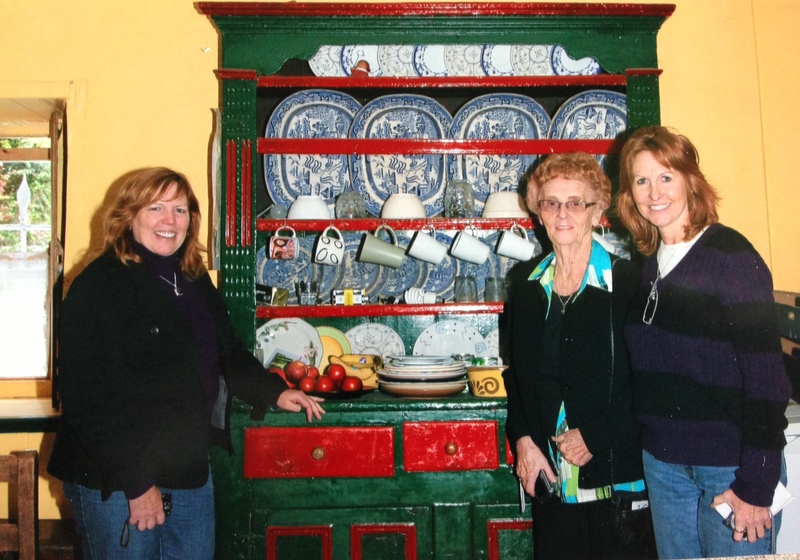 In 2011 Lucille and her daughters, Teresa and Marcia, visited cousins in Ireland. Here they are in the room where Lucille’s great-great-grandmother was born. 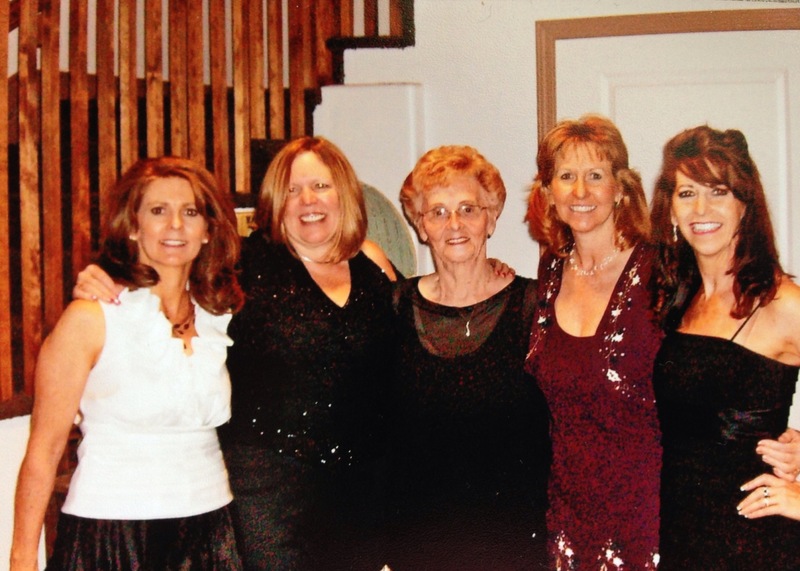 As you can see, Lucille passed on her Irish good looks to her daughters. There is no one better than Lucille at sending birthday cards and remembering everyone on their birthdays. That’s impressive, given the size of her family (shown below in 2012). We feel truly thankful to know Lucille and look forward to joining tomorrow’s celebration at the Walker House. It is impossible to believe that Lucille will be 86 years old. 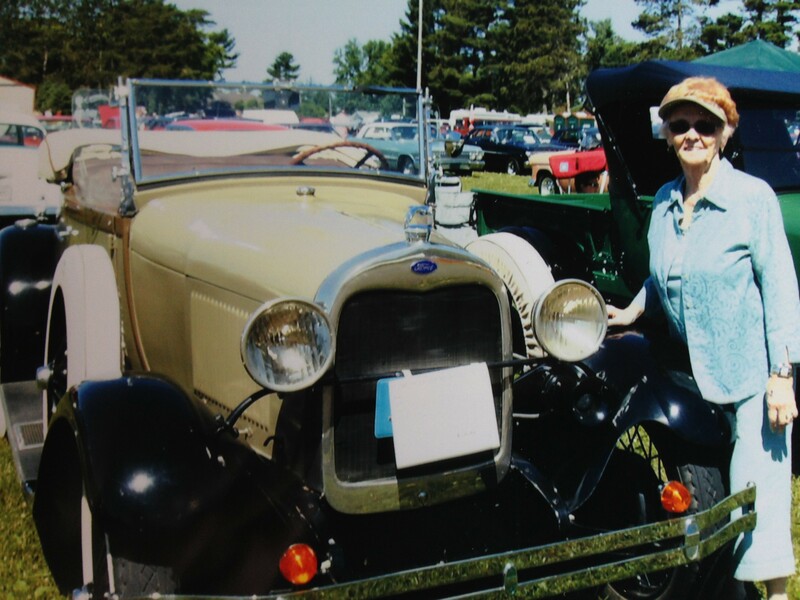 To demonstrate that point, here’s a photo of Lucille with a car built the same year she was born. This entry was posted in People and tagged Lucille May. Bookmark the permalink. Very cool!! I am so impressed. I am so proud of you Mom! We are blessed to have you as an example of how to live life.